North Slope Borough SA-10 Water and Wastewater Plant | Engineering Design & Consulting, Inc.
EDC provided mechanical and electrical design services for replacement of the North Slope Borough’s water and sewer plants in Deadhorse. The replacement facility incorporates water and wastewater treatment systems, heated water production to support drilling services, as well as supporting administrative space. 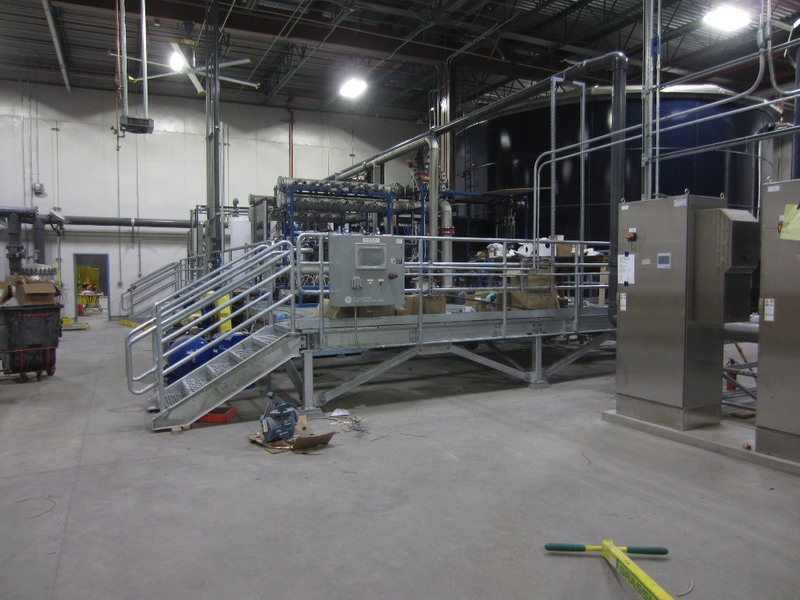 The new facility essentially duplicated the existing water and wastewater processes, with water treatment using on-site microfiltration units, and wastewater treatment incorporating SBR tanks and other serviceable equipment from the existing wastewater plant. EDC provided HVAC, Plumbing, Electrical Power, Lighting, and Instrumentation cabling design for the new facility.